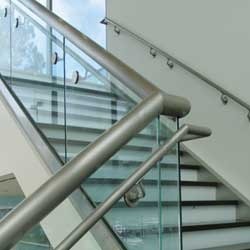 We are a reputed firm involved in manufacturing and supplying commendable range of Stainless Steel Glass Railings in Pune. Offered range includes Stainless Steel Printed Glass Railings, Stainless Steel Glass Railings, Stainless Steel Designer Glass Railings and Garden Glass Railings. These products are manufactured with superior-grade stainless steel so as to ensure their excellent performance, corrosion resistance and prolonged service life. Client can avail all these products from our firm at reasonable price range. Paying optimum attention to the precise demands of most valued customers, we are involved in manufacturing and supplying a broad range of Garden Glass Railings. We design and develop the offered product in tandem with the clients' specifications. Ultra-grade glass and other required basic components are utilized for manufacturing this product. Offered product is highly suitable for both commercial as well as domestic applications. These railing are installed at corporate offices, farm houses and hotels. 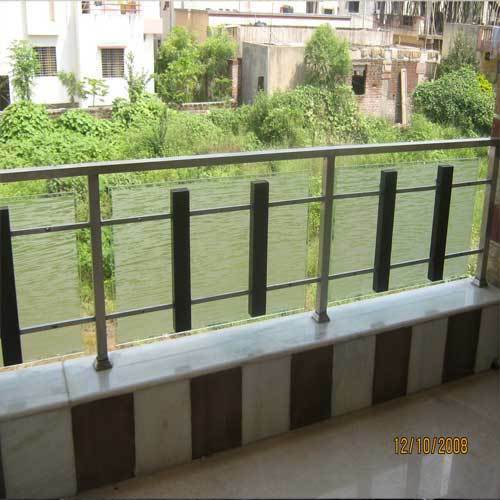 We are a prominent manufacturer and supplier of a broad rang of Designer Glass Railings which are tailor-made as per the specifications given by our clients. Offered products are highly suitable for commercial as well as domestic projects like machine installation, roofing, fencing, under guarding as well as various other allied works. In our sophisticated manufacturing facility, these products are manufactured with premier-grade stainless steel. 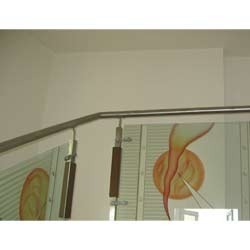 Our respected patrons can avail from us Glass Railings. These rust-proof railings are widely demanded and appreciated by the large number of our patrons as we never compromise with the quality but provide high quality stainless steel products at the most comprehensive range of price. 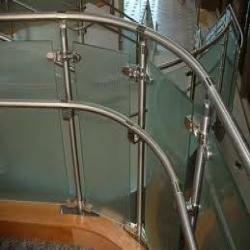 Looking for “Stainless Steel Glass Railings in Pune”?